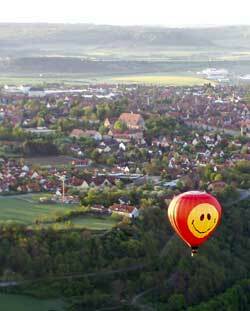 Enjoy Rothenburg ob der Tauber up in the sky with our hot air balloon team. There are few pleasures as unforgettable as drifting gently over breathtaking Rothenburg and the romantic Valley of the Tauber in an open basket. Seven days a week, at sunrise or about two hours before sunset. 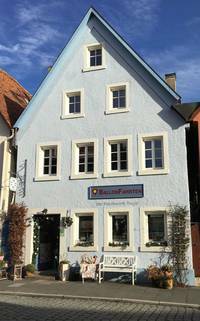 We launch from the Valley of the Tauber below the medieval part of the town of Rothenburg ob der Tauber. We are 60 to 90 minutes in the air, with up to five passengers in the ballonbasket. Total time required is about three hours. We are the first licensed (BY 207) ballooning company in this area. Our pilots have got several hundreds of hours of balloon experience. Chief-Pilot George even more than three thousand.